He rode alone coming back after five years to an empty cabin, a run-down ranch, and a grave on a hill. A former Texas Ranger burnt out on life and afraid to love. Whip had spent five years hunting the man that took his wife’s life and left him to die. Heather is a spirited, independent woman living alone on a ranch left to her by her parents. A woman doing a man’s work running a ranch that everyone said couldn’t be done, not in this untamed, vastly unsettled land, in the mid-1800’s. Not only was Heather doing it, but she was doing it well. The ranch was her life. It had everything she needed except water. But she’d managed to overcome even that. She stole it from a neighboring abandoned ranch watched over by a lonely cabin and a grave. Heather’s life is devoted to her ranch and her love for animals. She is considered a healer, well known throughout the rough and untamed Wyoming country. She has a full life. Then why is it so empty? Whip vowed he would take up his dream abandoned five years ago and make his beloved ranch profit and to put aside the sweet linger of all memories shared by him and his wife. The ranch would be a jealous mistress occupying his every thought and every minute. He had no time or desire for a woman much less a pair of runaways from The Orphan Train who stowed away on Whip’s wagon and onto the Powder River Ranch. 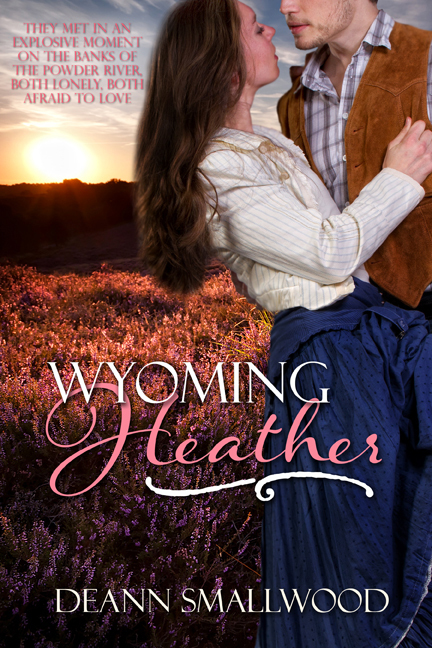 Whip and Heather meet in an explosive moment on the banks of the Powder River, reacting to one another like fire and wind. But, underlying the tangles over property rights, there’s a chemistry between the two. Both are lonely, both are drawn to one another, and both fight the attraction-Whip, because of memories he’s not ready to put to rest, and Heather, because of her stubborn resolve to succeed as a woman rancher. But fate heeds no one or no thing. The criminal from Whip’s past reemerges in the present. Now, Heather is in danger and Whip stands, once again, on the cusp of loss. Fate shows a strong, willful woman, full of love and compassion, just what she’s been missing in her life. And it shows a calloused Texas Ranger that Heather and love does flourish on the Wyoming plains. I live in Colorado with my husband and my two Yorkie kid dogs: Stormy, four pounds, and Eli, six pounds. I’m a native of Colorado, but I’ve lived several years in Wyoming and Montana. My historical romances are: Montana Star, Sapphire Blue, Unconquerable Callie, and Wyoming Heather. Tears In The Wind is a contemporary romance. Then I changed genres from my beloved romances and wrote, under the pen name of D. M. Woods my first suspense/thriller: Death Crosses The Finish Line. The second book in this ‘death’ series, Death Is A Habit, will be out later this year. Truly, I mean it when I say my greatest pleasure next to writing is having my books read and enjoyed. There are many more stories just waiting to be written and enjoyed.